February 1, 2016 was a busy day for me. I had a board meeting, it was the first day of the 2016 legislative session and for the first time in over 17 years, I was the new guy. It’s hard to believe that I am rapidly approaching my first anniversary with OSEIA. It’s been a fun and wild ride, which seems to reflect the industry that we are all part of. They don’t call it the solar coaster for nothing, right? But I think the “solar coaster” term is changing. It’s less about boom and bust and more about how fast the technology and the industry is developing. We’ve seen costs dropping. We’ve seen advances in technology offer more efficient systems. We have a better understanding about how solar can help integrate and manage lots of other parts of our energy system: more electric vehicles, more demand response, more and better storage. We are a different industry than we were five years ago, certainly, and we will be a different industry five years from now. But we will be a better industry. The state of the industry is getting stronger and we are working hard to make OSEIA a strong organization that can help our members get stronger as well. 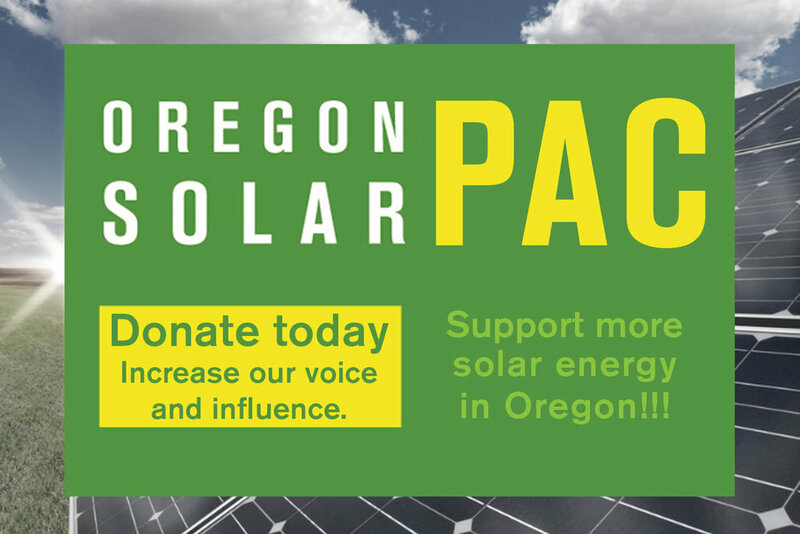 Members have stepped up, not only paying dues but also paying for the development of an Oregon Solar Plan that will help guide the Oregon industry’s development over the next 10 years. We have expanded our membership, adding 25 new members in 2016. We are strengthening our presence at the state capitol and at the Public Utility Commission to make sure that key elements for the future of the industry are in place: an extension of the Renewable Energy Tax Credit (RETC), a strong Community Solar program, a fair Resource Value of Solar, and many others. As I’ve talked with OSEIA members all around the state, there is an optimism that is infectious. That optimism has sustained the industry over the decades and it will be that optimism that will at long last put solar in a central place in Oregon’s energy future. That’s because our optimism is backed by strong businesses and an ability to deliver true value. That is an unbeatable combination. When I talked to OSEiA members at the 2016 Annual Meeting, I spoke about the need for the industry to speak in one voice about a clear vision. We’ve made significant progresstoward that goal in the last year. But there’s much more to do. I also talked about the phrase “steely-eyed missile man,” a name the space community uses to describe people who have solved extremely difficult problems in the most challenging circumstances. I said that the solar industry needed to be “steely-eyed missile men and women” to push our industry forward. I’ve met many steely-eyed missile men and women over the last year and therefore have no doubt that we will keep building an ever-stronger industry. Thank you again for letting me part of it.